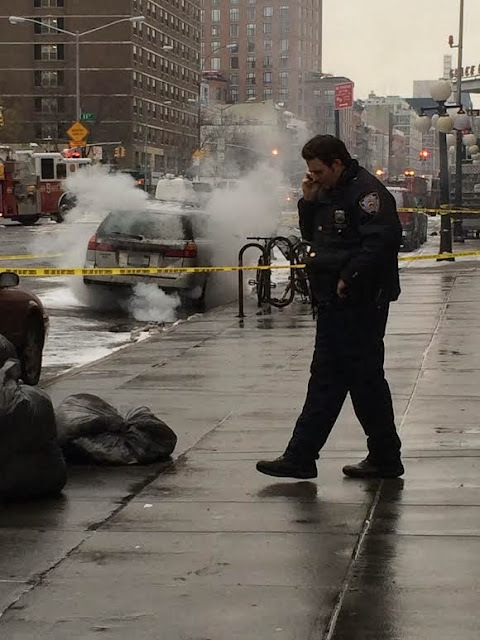 We don't know too many details of what happened here between East Fifth Street and East Fourth Street ... other than what you can see in this photo via EVG reader Marc that shows the scene... and a car not looking too well at the moment. Anyway, you always post photos of manhole fires. Ahh... the sound of the Chunnel breaking through on new underground Oligarch railroad.